If you are the kind of person who enjoyed Narcos on Netflix, you’re going to like this video. The dramatic helmet cam footage shows Colombian Special Forces moving in on wanted narco gang leader Édgar Gutierrez Arenas, during an increasingly intense shoot out with his followers. Elite Jungle Commandos move in to capture Arenas, also known as ‘Thomas’, leader of the The Úsuga Clan, one of the largest and most dangerous narco-paramilitary groups in the country. 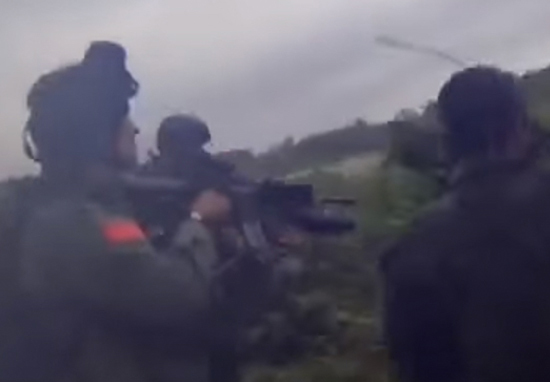 The Commandos released the footage of the raid, shot in the jungle near Chocó – apparently there are frequent firefights like this between Special Forces and narcoterrorists in the Colombian jungle. Arenas had a 115 million pesos (about $40,000, £27,775) reward on his head, and was one of the top twenty most wanted men in Colombia.